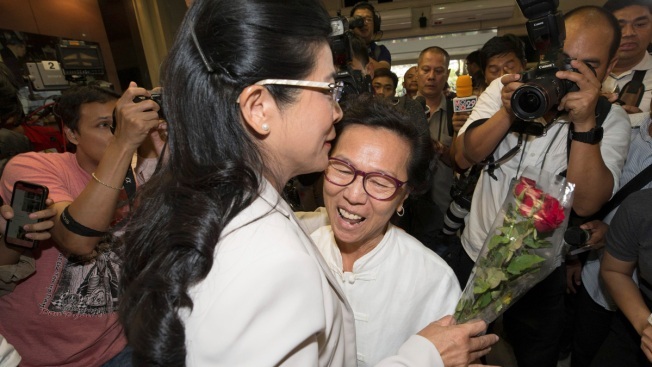 Pheu Thai party leader Sudarat Keyuraphan, left, receives a bouquet of flowers from a supporter at the party headquarters in Bangkok, Thailand, Sunday, March 24, 2019. Nearly five years after a coup, Thailand voted Sunday in a long-delayed election setting a military-backed party against the populist political force the generals overthrew. Sudarat said after voting in Bangkok's Ladprao district that she was confident of winning. A military-backed party has taken the lead in Thailand's first election since a 2014 coup, preliminary results showed, suggesting junta leader and Prime Minister Prayuth Chan-ocha could stay in power, helped by an electoral system tilted in the military's favor. Twelve boys and their coach stuck in an 18-day ordeal that captured worldwide attention described their experiences inside the Tham Luang cave after they were released from the hospital. 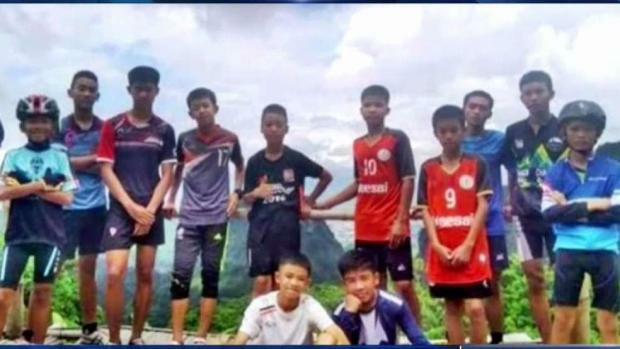 The rescued Thai soccer team is doing well after being trapped in a flooded cave for days. Carolyn Johnson reports live from Chiang Rai in Thailand on NBC4 News at 11 p.m. on July 10, 2018.